Transatlantic crossings played a significant role in spreading the art of French living to a wider audience. The liner Île-de-France in particular offered its passengers the chance to sample a range of rich and delicious French produce. Indeed, during the interwar period, the economies of France and the USA both prospered, leading to their most successful period. Rich Americans were desperate to cross the Atlantic, as the liner Ile-de-France was the place to be. But they were not alone, as Americans of more modest means also wanted to explore Europe. 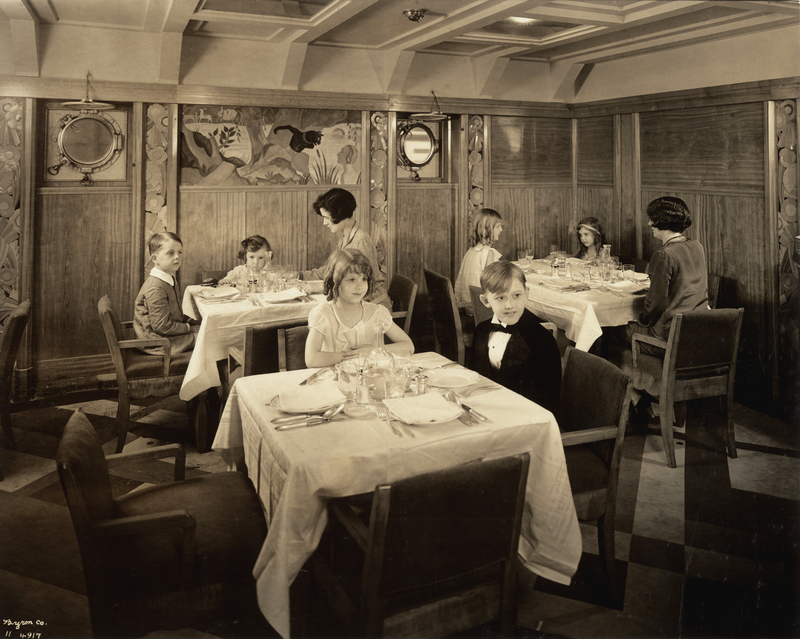 Beyond promoting and exporting French cuisine to the world, transatlantic crossings also spread the art of living: good manners, such as opening doors for women in restaurants or pulling back their chairs to allow them to sit down. But also the art of conversation at fashionable dinners. Or more light-hearted things, such as how to arrange a table or dress for dinner. Thus, crossings had a major impact on the current importance of French gourmet cuisine and the art of living.